Windows XP Service Pack 2 and Service Pack 3 have a built-in firewall. This document will show you how to start or stop the firewall. If your computer has Service Pack 2 or Service Pack 3 installed the firewall will be turned on by default. 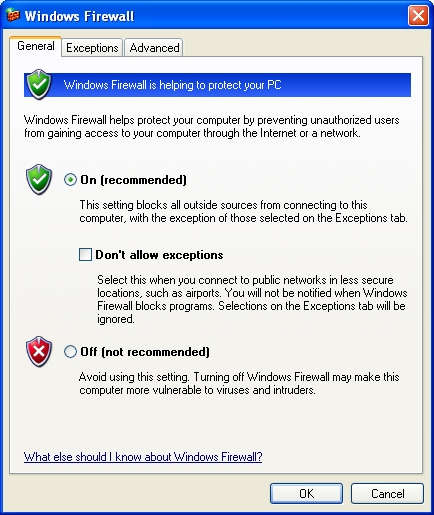 Go to Start -> Settings -> Control Panels -> Windows Firewall. Turn the firewall On or Off buttons and click OK for it to take effect.